There is less and less time left to the moment when we launch the album ‘Like a Supernova’. The process of mixing is already begun and we now share with you some final video cuts from our recording kitchen. 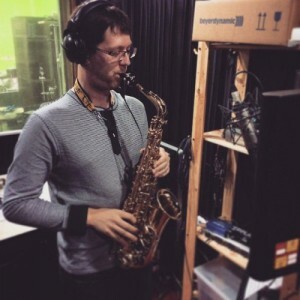 The main character of the eighth studio report is our sax player Stanislav Shushkevich. He’d recorded solo parts for several tracks, using not only alto and flute but also soprano saxophone which is rare enough for funky music.